I think it’s a mistake to think of Homer as a person. Homer is an “it.” A tradition. An entire culture coming up with ever more refined and ever more understanding ways of telling stories that are important to it. Homer is essentially shared. Today we have an author obsession—we want to know biography all the time. But Homer has no biography. The Iliad and The Odyssey are like Viking longships. Nobody knows who made them, no name is attached to them, there’s no written design or drawings. They’re simply the evolved beauty of long and careful tradition. 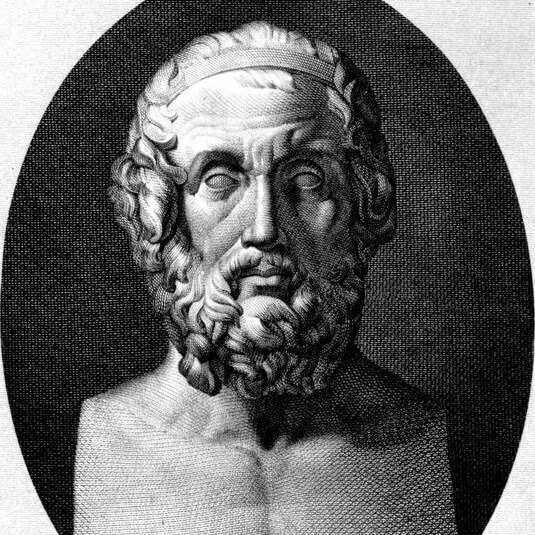 via Author Says a Whole Culture—Not a Single ‘Homer’—Wrote ‘Iliad,’ ‘Odyssey’. 6 Jan 2015 in Culture, History, Humanities, Literature. The claim about the oral poets from the Hebrides is interesting, but the story fails to acknowledge that Milman Parry made the exact same discovery in the 1930s. Jason Pugh liked this on Facebook.